Sara Meerow and Alec Foster are co-organizing a group of paper sessions at this year’s American Association of Geographer’s Conference, April 5-9 2017, Boston, MA. Joshua Newell is serving as a discussant. This session seeks to advance theoretical and methodological approaches to the study of green infrastructure and urban agriculture in cities. Of particular interest are papers that conceptualize relationships between these often divided research streams. Green infrastructure and urban agriculture have been heralded as solutions for diverse urban environmental and social issues, from amelioration of air and water pollution and urban heat islands to food insecurities and enhanced urban resilience (Beatley and Newman 2013; McClintock, 2010; Rouse and Bunster-Ossa 2013; Tzoulas et al. 2007). However, as numerous scholars have noted, both green infrastructure and urban agriculture (and urban green spaces more generally) can lead to gentrification (Pearsall, 2010; Qastel, 2009). This highlights the need to examine questions of social justice. 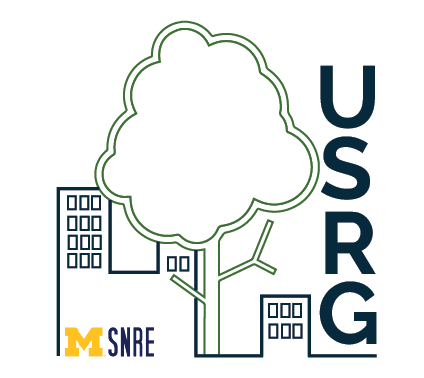 Please submit abstracts of no more than 250 words to Alec Foster (alecfo@umich.edu) and Sara Meerow (sameerow@umich.edu) by October 21st. Beatley, T, and P Newman. 2013. “Biophilic Cities Are Sustainable, Resilient Cities.” Sustainability 5 (8): 3328–45. McClintock, N. 2010. Why Farm the City? Theorizing Urban Agriculture through a Lens of Metabolic Rift. Cambridge Journal of Regions, Economy and Society 3 (2) 191-207. Pearsall, H. 2010. From Brown to Green? Assessing Social Vulnerability to Environmental Gentrification in New York City. Environment and Planning C: Government and Policy 28(5) 872–886. Qastel, N. (2009). Political Ecologies of Gentrification. Urban Geography 30(7): 694–725. Rouse, David C., and Ignacio F. Bunster-Ossa. 2013. Green Infrastructure: A Landscape Approach. Chicago: American Planning Association. Tzoulas, Konstantinos, Kalevi Korpela, Stephen Venn, Vesa Yli-Pelkonen, Aleksandra Kaźmierczak, Jari Niemela, and Philip James. 2007. “Promoting Ecosystem and Human Health in Urban Areas Using Green Infrastructure: A Literature Review.” Landscape and Urban Planning 81 (3): 167–78. Wolch, Jennifer R., Jason Byrne, and Joshua P. Newell. 2014. “Urban Green Space, Public Health, and Environmental Justice: The Challenge of Making Cities ‘just Green Enough.’”Landscape and Urban Planning 125: 234–44. This entry was posted in News on September 26, 2016 by Sara.